Question About Sticky Blood and Blood Thinners? I had a cancer episode, resulting in a major surgery hysterectomy. I am 72 years old. I have never been keen on taking long term medicines and because I developed a DVT before the surgery, I was placed on daily injections of Clexane, supposedly for life. The medics say that I have "sticky blood". I have always liked natural remedies and we are rebuilding my immune system with herbs, etc. My question is, does anyone know how I can find out if my blood is no longer sticky. Is there a blood test that can be done? I do know that my fibrinogen has reduced by 2/3 and is now within the normal limit and we are working on reducing my inflammation after having an ESR test. Any thoughts on sticky blood syndrome please? Hi Heather. And thank you for your question regarding sticky blood syndrome. Yes, there is a blood test you can have to find out if your blood is still "sticky" or not. It's called a live blood microscopy, but it's not done by a GP. You need to go and see a naturopathic physician who specializes in this type of test. What they do is take a sample of your blood (finger prick) and view it under a strong electron microscope. They also have a monitor there so you can see your blood as well. The great thing about these tests is the blood is still fresh and "alive" when it’s analyzed, not dead like the common blood tests that are taken by your local GP and sent off to a laboratory. This amazing test can tell you just about everything from the condition of your liver and kidneys, to the amount of parasites in your blood, and the healthiness of your red blood cells, white blood cells and plasma. They will also tell you if your blood is rouleauxed (red blood cells sticking together). I've had one of these done myself and highly recommend it. The best way to get your blood healthy and get rid of sticky blood syndrome is with the supplementation of dehydrated wheat grass, barley grass, spirulina or chlorella. Liquid colloidal minerals are also excellent as well. However, because these foods thin the blood and the fact that you're already on a blood thinning medication, you would definitely need to consult your health practitioner (naturopathic physician) first and follow their advice. They will be able to point you in the right direction. So I hope this helps you out Heather. Comments for Question About Sticky Blood and Blood Thinners? Thank you for your answer - I am keen to find a Practitioner in Victoria that does the micro blood test with live blood. Hi Heather. I'm gathering you are talking about the state of Victoria in Australia? If that's the case then this website may be helpful... Live Blood Analysis. Thank you - the list is most helpful and indeed so are you. You're very welcome Heather. Good luck! Update - No Longer on Orthodox Blood Thinners! Thought it was time to give you an update.... I was determined to get off the clexane injections - especially after I found out they were made from pigs intestine secretions. I found a Herbalist who created a herbal tincture that included several blood thinners. I also increased food stuffs that thin the blood - This list might be helpful - Best Herbal Blood Thinners. I also took Serrapeptase daily but have been told that Nattokinase would be better.... And I asked my Doctor to include fibrinogen on my Clexane blood test.... Surprisingly this is not routine as it is fibrinogen fibres in the blood that clots in veinous situations. I managed to get my fibrinogen down from a reading of 8 (it is meant to be between 1 and 4). My last reading was 3 and I had a very acceptable coagulation for a test that would have been used for Warfarin. Obviously you need to work with your medical practitioner and it took sometime before I ceased all orthodox remedies. 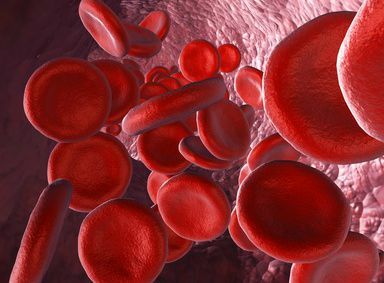 It is also worth reading up about the dangers of blood being too thin if you are on blood thinners. For example, if you did have a stroke the blood would not clot and could flood into the brain. I did use clexane when flying for one or two trips, but am now off the orthodox medication completely. I do drink a lot of water to stay hydrated when I fly though as this helps. Interesting story and great to hear you're off the pharmaceuticals. Hopefully your story and info will inspire others to make the necessary changes so they too can eventually come off harmful blood thinners such as Warfarin and Clexane. Natural alternative to taking aspirin to thin blood? I had a mini stoke about 6 years ago and my doctor has me taking 325 mg of aspirin everyday. In searching for a natural remedy I saw 11 natural ingredients to take instead of the aspirin. Is there a pill that has all of these ingredients that I could take instead of the aspirin? I haven't been able to find one Jackie. You can buy these herbs and spices in powdered form though and add them to a morning smoothie. This would be the best way. You can also add some wheat grass powder along with some plant based colloidal minerals. This would be an exceptional (not to mention, extremely healthy) blood thinning drink. Of course, be sure to speak with your doctor first before doing this.